Have you ever been to a standup comedy show? We have! 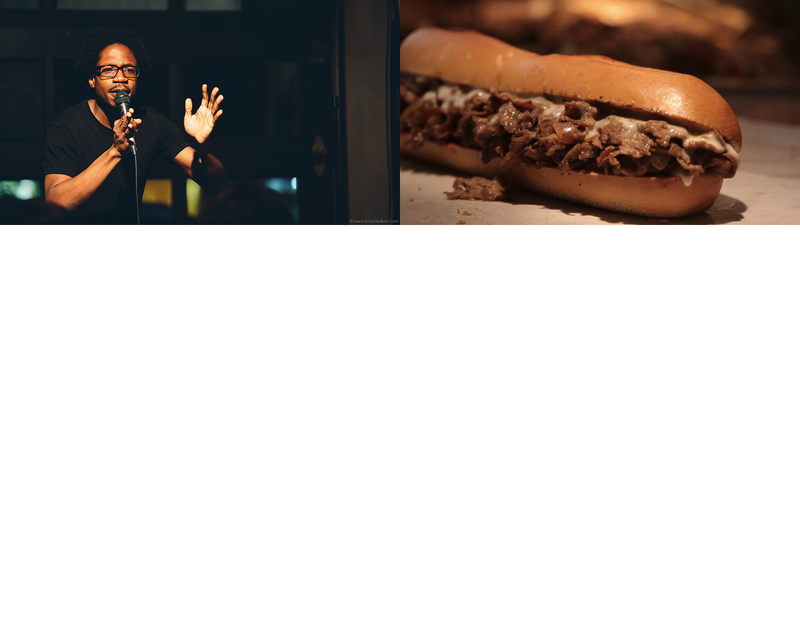 If you’re anything like us, you sat in the crowd while these funny people plied their trades and thought ”Wow, this guy/girl verily looks like a sandwich!” It’s true – most comedians look like sandwiches to the point that it will blow your mind. Loveable comedian Mike Carrozza is a dead-ringer for a classic triple-decker club sandwich – mayo on the side please! I bet you didn’t need US to point out that bewhiskered funnyman Shawn Stenhouse is practically identical to a scrumptious marinara meatball sub! Wow! If you squint a little, you’d swear that this salty-sweety concoction was local comedian Scott Carter! Nope, you’re not seeing double – that’s local comedian Eman El-Husseini and a classic peanut butter and jelly sandwich! How many times do you think local comedian and wresting enthusiast Walter J Lyng be mistaken for a felafel wrap in an average day? A lot, we bet. Many times. Presenting the new Rodeo Chicken Jr. Sandwich from Burger King®. The Rodeo Crispy Chicken comes with a crispy chicken patty, sweet and spicy BBQ sauce, and onions rings on a sesame seed bun. Find one now at your BK®! Salomon… Salmon… Get it? We can makes jokes too you know LOL also the bagel is VERY MTL as you probably know.